Spring brings a spectrum of colour as flowers burst with life. just soak in the snapshot below (straight out of the camera). 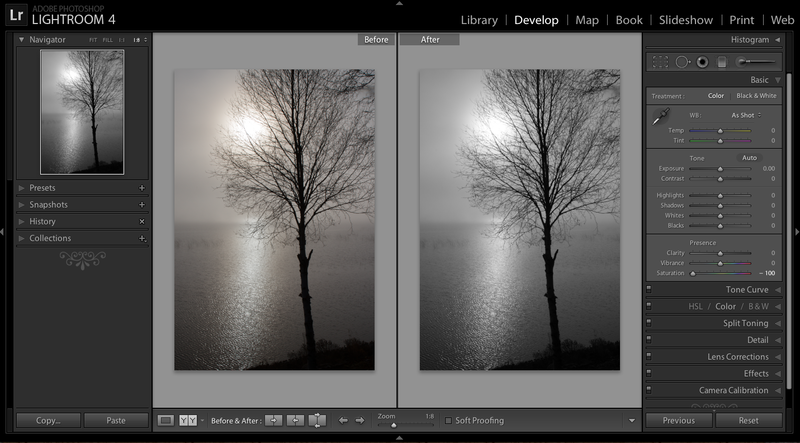 Here’s a screen shot in Lightroom, before and after view, of my not so black and white misty morning image. 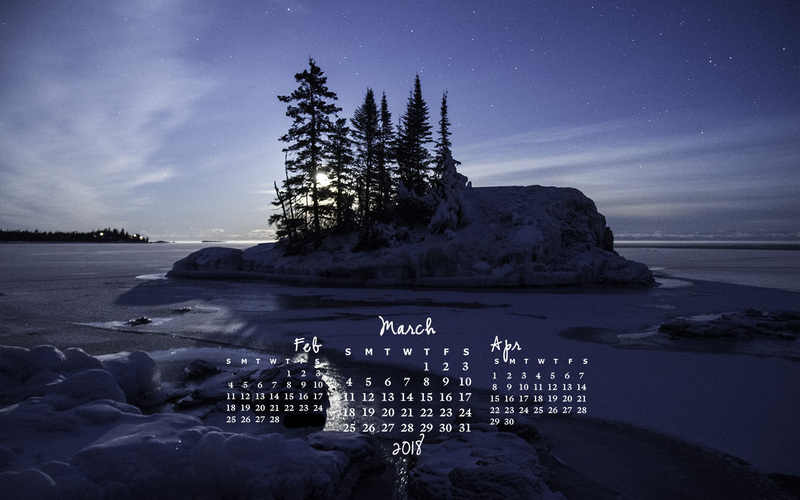 The saturation slider (last slider in the adjustment panel on right hand side) was moved all the way to the left removing all colour. Did you guess the hint of colour is orange? 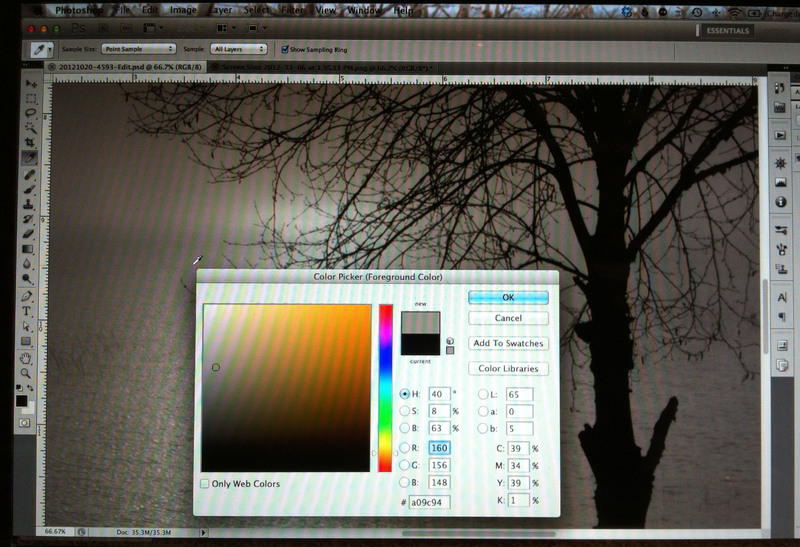 Darker shades of orange become brown and when added to an image create a sepia or aged look. So my original image had a natural infusion of sepia! 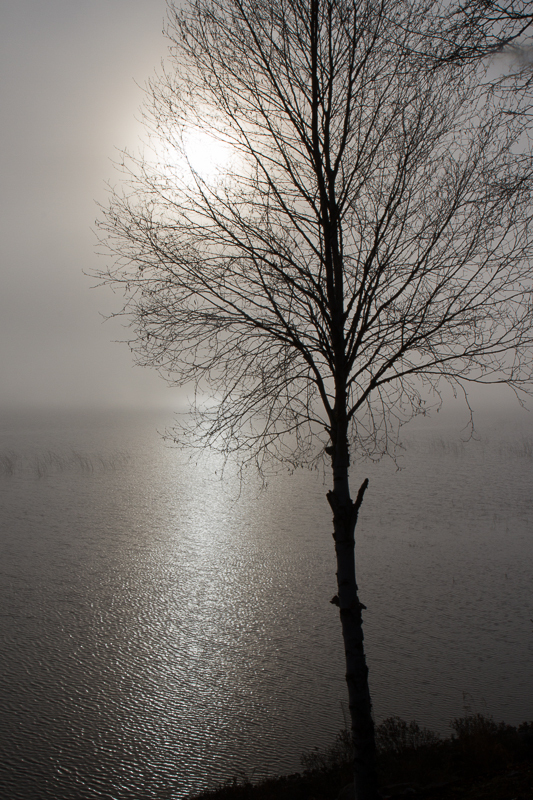 Straight out of the camera, this scene appears to be shades of black and white. So what is the colour that tints the original image? I took the image into PhotoShop to take a closer look. With the colour selector dialogue box open, I can use the eyedropper tool to click on an area of the image to see what colour that pixel or pixels hold. To which colour do you think the grey shades are related?